Los Angeles [USA], May 1 : The 'Fate' of the 'Furious' has been nothing but gigantic! According to the Hollywood Reporter, Universal's 'Fate of the Furious' has crossed the one billion USD mark at the global box office. 'Furious 8' has become the studio's fourth film to achieve this feat in its original run after 2015s ' Jurassic World' (1.67 billion USD), ' Furious 7' (1.52 billion USD), Illumination's ' Minions' (1.16 billion USD) and ' Jurassic Park,' which crossed 1 billion USD after its re-release. 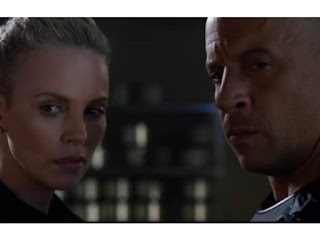 Since its release, the eighth installment in the ' Fast and the Furious' franchise, has grossed over 192.7 million USD at the US box office and 867.6 million USD in international markets. The movie had the best figures of all time in China for an imported film as it has grossed over 360 million USD at the Chinese box office. Earlier this month, the movie scored the biggest worldwide launch of all time with 542 million USD, eclipsing ' Star Wars: The Force Awakens' (529 million USD). 'Fate of the Furious' is the second movie of 2017 to achieve the milestone after Disney's 'Beauty and the Beast,' which has grossed worth of 1.1 billion USD to date. The flick stars Vin Diesel, Dwayne Johnson, Jason Statham, Michelle Rodriguez, Tyrese Gibson, Nathalie Emmanuel and Kurt Russell in pivotal roles.